If you live here, sooner or later you'll want to stock up your kitchen. I really miss Jasons from Taiwan, and remember commenting to people that while Hsinchu wasn't the most happening place on Earth, I was fortunate to be able to buy cruelty-free products, marmite (a New Zealand spread) and a whole assortment of other western groceries at one shop a few minutes scooter ride from where I lived. 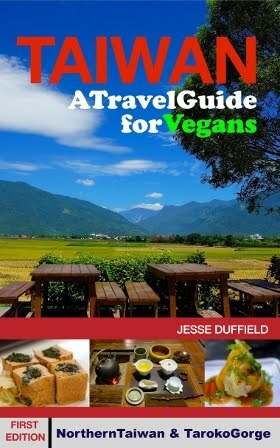 When I first arrived in Japan, I really struggled to find food, and basically lived from Veganessentials. On one hand, it's a ridiculous waste of resources having grains grown in one part of the world, shipped to the US to me made into instant burger mixes and the like, and then flown over to me in Japan to mix with water and fry up after work. On the other hand, it's supporting a good, all-vegan business, and sometimes ordering online from the US can be cheaper than buying the same products off the shelf in Tokyo (who may well just order them online themselves). I still order from the a lot, but not as much as when I first arrived here. I find their snack foods (energy bars etc) to be critical in surviving here in Japan, and carry them with me virtually everywhere. However I will recommend three shops, though there are plenty more I haven't tried yet. First, Natural Mart (Happycow) are tiny, well-stocked organic/natural foods restaurant and well worth a visit. For a shop more like Jasons (in Taiwan), which sells a great range of vegan products, including Indian food and even Scheese (soy cheese from the UK) go to National Azuba in Hiroo (walking distance from Natural Mart). Very close to Natural Mart and National Azuba is Island Veggie, a vegetarian hawaiian cafe which specialises in Acaia Berry products, including smoothies and breakfast foods. It also serves a range of burgers and a few other basic items. Items with milk are clearly labelled 'LV' (lacto-veg). Many items contain honey, so if you don't eat it its important to tell them when you order. It's worth going here while in Hiroo to stock up on groceries. To find it, go to Hiroo Station, take Exit 2, walk around the corner and keep going until you see a starbucks opposite (on the right). Then take the small lane to your left, and it's a few steps down on the left. A burger and fries: a typical delicious Island Veggie meal. Naturalmart, National Azabu and Island Veggie are all a few minutes walk from Hiroo Station. I previously recommended Natural House, from which I used to buy soy yoghurts. I have since learned, to my disgust, that these Soyafarm soy yoghurts I've been eating two years contain gelatine. This was a 'natural' soy yoghurt with a live culture, so I didn't even think to check for it. One can never be too careful in Japan!! Not Vegan: Soyafarm soy yoghurt contains GELATIN! To stack up on energy bars was our idea anyway. I've read they have cliff bars over there. That will get us through the day . I don't want to lose time searching for veggie restaurants.